To easily find a French professional or service in your area. An initiative to foster the emergence, deployment, and strengthening of relationships and collaborations between groups of agencies that are supporting French-language services and future professionals, bilingual healthcare students, and colleges and universities by the exchange of information, collaborative opportunities (placements, mentorships, volunteer positions, training programs) and local welcoming practices. The results from the Welcoming Community 2014-2018 pilot project demonstrated that community involvement helps to support and encourage the integration of bilingual students and future professionals by generating more community involvement, networking, and internship opportunities. Base on these outcomes, the Welcoming Community 2.0 (2018-2021) project will be expanded to 5 sub-regions of southwestern Ontario. This will allow more communities, health and social service providers, educational institutions, students and future professionals to benefit from this initiative. 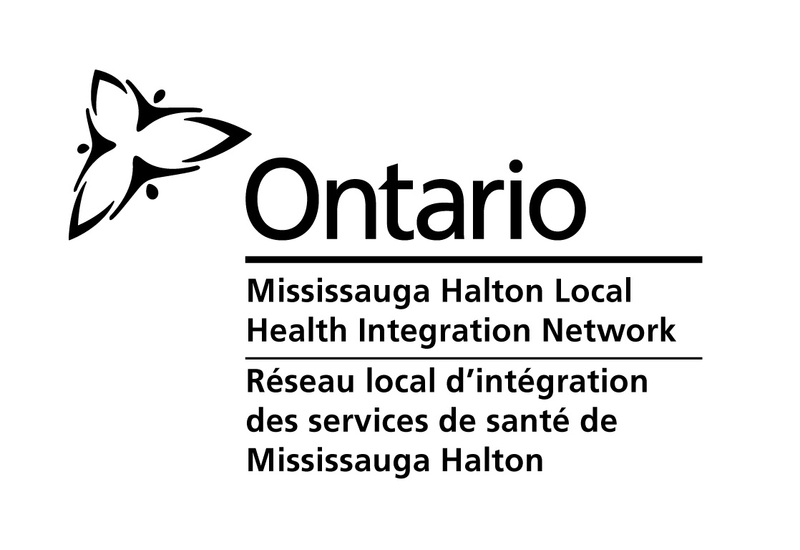 5 Communities of practices and/or Interagency Network of Health and Social Service providers who wish to attract new francophone and bilingual human resources to their region. 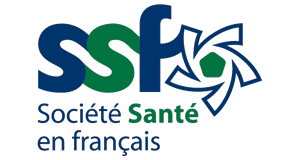 Francophone and bilingual students from programs targeted by Health Canada during the 2014-2018 period: nursing, social work, medicine, psychology and speech pathology, as well as programs identified in the regions. Francophone and anglophone colleges and universities in southern Ontario that are offering these programs. Bilingual healthcare professionals who wish to be informed about community resources and career opportunities in these regions. 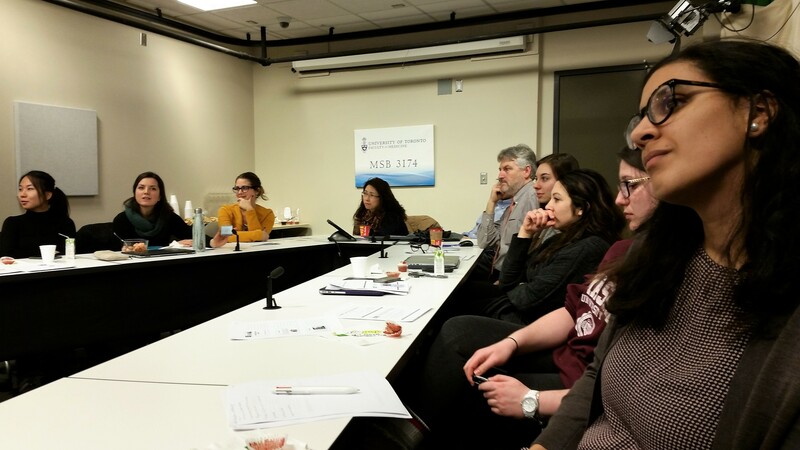 French info session for bilingual students from the faculty of medicine at the University of Toronto on the GTA francophone community and active offer of French service, February 2016. Support the identification of students enrolled in health and social service programs who hold a French or bilingual high school diploma. Set up and promote community welcoming activities for bilingual students to promote recruitment, integration, and retention of bilingual professionals in southwestern Ontario. Foster efforts to promote bilingual students’ placement agreements with health and social service providers. Mini-site of information and virtual meeting space for professionals in the fields of health, addiction, social services, and wellness. 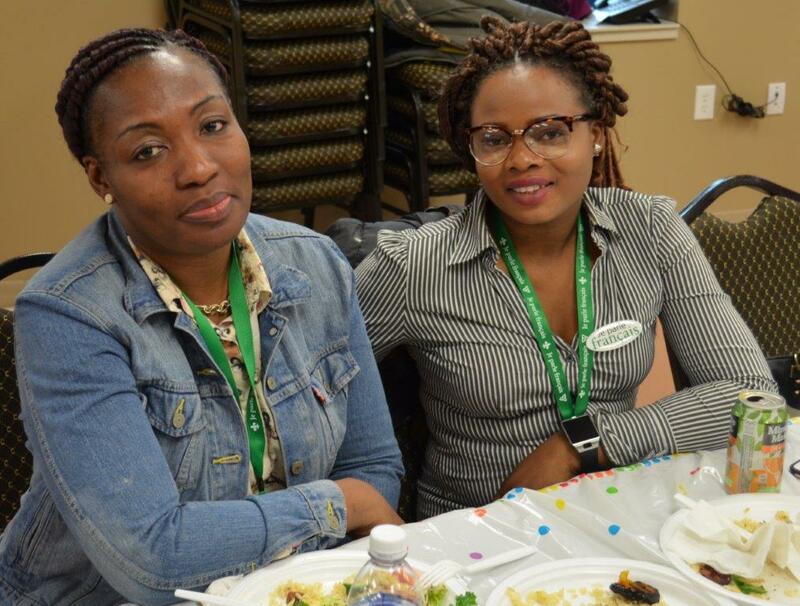 Human resources and professionals serving the francophone population in the region. Agencies offering bilingual services and services in French. Human resources and professionals seeking employment opportunities in the region. 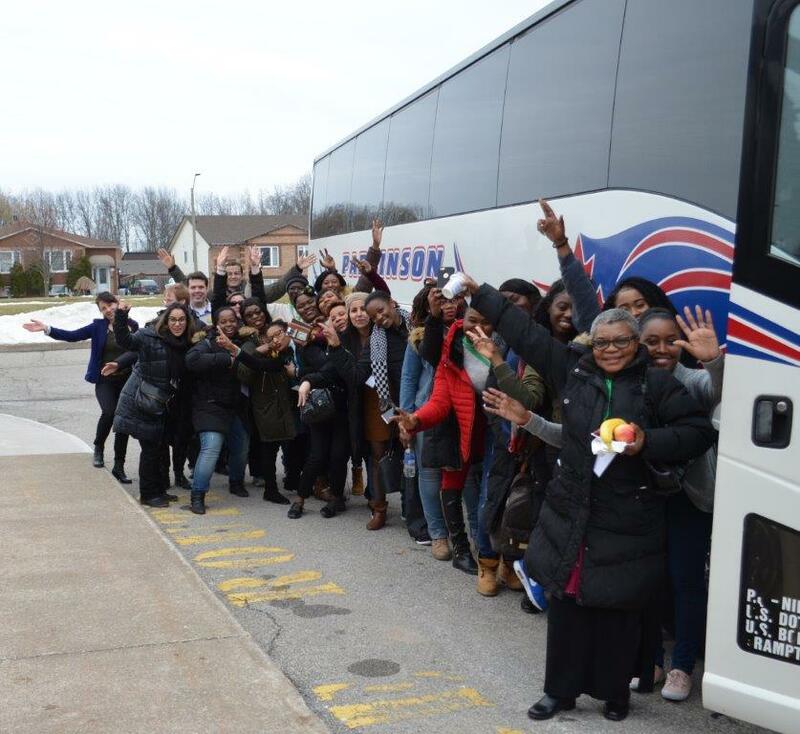 During the Welcoming Community project (2014-2018), we developed strong relationships with 11 colleges and universities in southern Ontario. 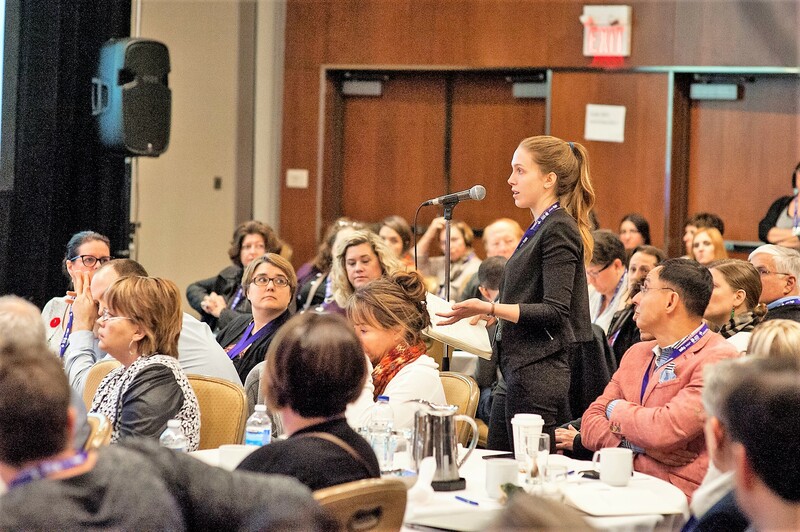 We also collaborated on projects with the Association of Faculties of Medicine of Canada (Franco Doc project) and the Canadian Association for Social Work Education (Rationale to allocate an admission position to French-speaking candidates at the School of Social Work at King’s University College). 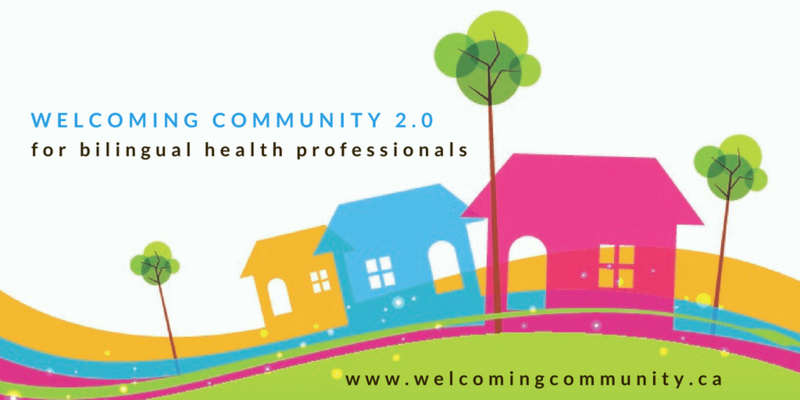 Welcoming Community 2.0 will allow us to strengthen these collaborations and further expand new partnerships with colleges and universities, particularly in the following health and social service programs: medicine, nursing, social work, speech pathology, psychology. Systemic Social Worker discussed how to better integrate bilingual (French-English) students in Francophone communities. A bilingual social worker shares on the advantage of having access to French and bilingual placement opportunities. 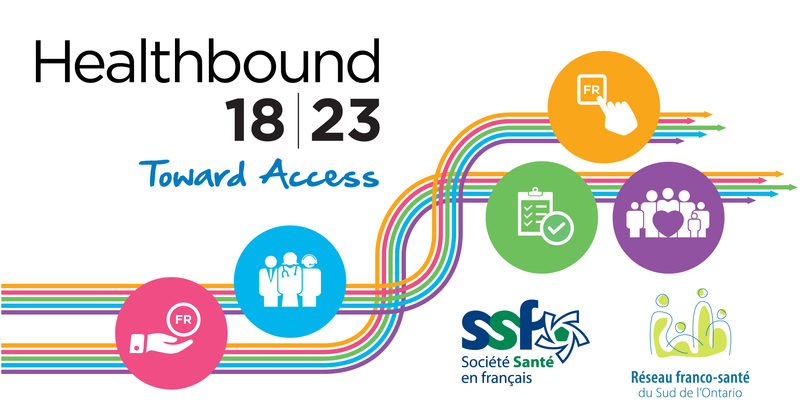 Online resource platform to support managers from Anglophone or bilingual organizations to maximize their ability to serve francophone and Acadian minority populations. The Tool Box is a collection of resources for learning the medical French you need to improve your language and culture skills. It is also a database of learning opportunities in French. This initiative is funded by Health Canada under the Action Plan for Official Languages – 2018-2023: Investing in Our Future. The views expressed herein do not necessarily represent the views of Health Canada.